IONIC PK BOOST is a nutrient supplement designed to be used in the final few weeks before harvest. PK BOOST allows the grower easy control of the extra phosphorus and potassium that can lead to bumper yields. 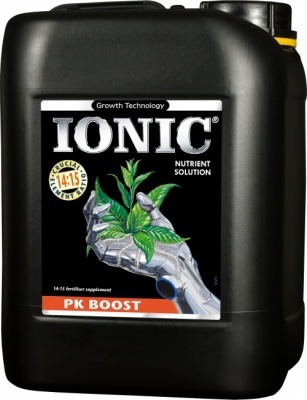 PK BOOST is an ideal addition to IONIC BLOOM but it can also be used very effectively with any good quality nutrient solution of the BLOOM variety.